​Real Madrid are set to offer out-of-favour star Gareth Bale in a sensational bid to land Christian Eriksen from Tottenham. Bale enjoyed a breakthrough spell with the Premier League side before departing north London as a global star to join Los Blancos for a then-world-record fee in 2013, having earned hero status with Spurs. However, ​Bale's future at the Bernabeu now appears uncertain after falling out of favour under Santiago Solari and, according to the ​Mirror, ​Madrid are preparing to offer Bale back to his former side as bait in the La Liga side's efforts to lure ​Christian Eriksen to the Spanish capital. It is said that the 29-year-old has failed to impress Madrid president Florentino Perez this season, having hoped to see Bale rise to the challenge of succeeding ​Cristiano Ronaldo as the talisman at the Bernabeu. Despite having starred for his side with two decisive goals to help Madrid retain their Champions League crown last season, the Welshman's time with Los Blancos appears to be drawing inevitably to a close ahead of the summer. Real Madrid have won two #Clasicos at the Santiago Bernabéu since Gareth Bale joined the club. The Madrid head coach has often favoured the more industrious Lucas Vazquez over Bale on the right flank since taking charge, whilst Eriksen has long been rumoured to be a top target for Los Blancos. The Danish international is out of contract at the end of next season and has apparently rejected efforts from ​Tottenham to extend his deal in north London. A lack of any suggestion that Eriksen will commit his future to Mauricio Pochettino's side only seems likely to further encourage Madrid's efforts to lure the playmaker to La Liga, and they are apparently set to offer Bale plus a fee of around £50m to get their man. Christian Eriksen makes his 250th start since August 2014, which is a ludicrous amount of football given his responsibility/role. 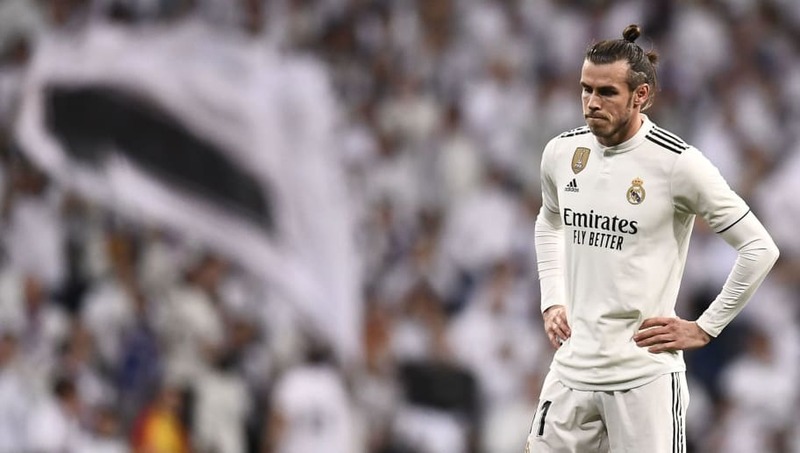 Bale has scored seven goals in 21 La Liga appearances for his side this term, also finding the net three times in six Champions League outings, but does not seem to have done enough to convince Solari of his worth to the team.